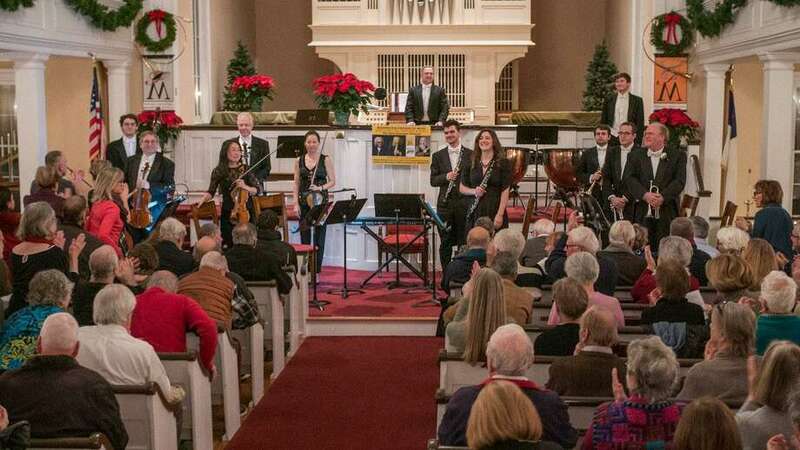 More than 300 music enthusiasts from near and far flocked to Washington Jan. 1 to celebrate the New Year with The New Baroque Soloists at the historic meetinghouse at the First Congregational Church. The 12-member chamber orchestra, first-class solo musicians as well as members of renowned orchestras in New York and Connecticut, performed with trumpets, horns, oboes, strings, organ and tympani. The program offered uplifting compositions by Bach, Vivaldi, Telemann and Zipoli, interspersed with the musicians' brief and often humorous anecdotes about the composer, the instrument and the time period. An encore with an excerpt of Handel’s Fireworks followed cheers and a standing ovation by the listeners. A reception with the musicians followed. Washington Friends of Music will continue the 2019 season with the Summer Concert Festival, with concerts the last two Fridays in July and the first two Fridays in August at 5:30 p.m.